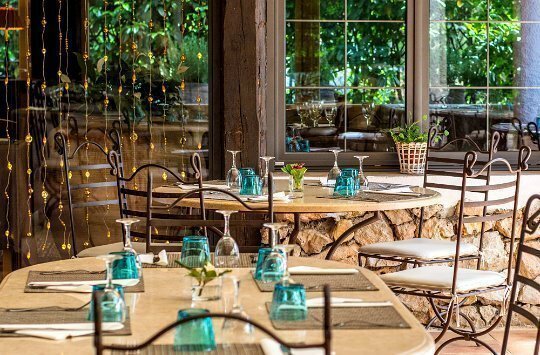 Lou Messugo is situated in the village of Roquefort les Pins, 15 minutes from the beautiful azure Mediterranean sea in one direction and half an hour from the dramatic mountains of the Southern Alps in the other. 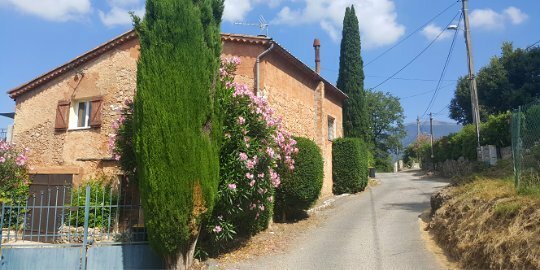 Lou Messugo is surrounded by quiet, wooded residential land, far from the crowds and very peaceful, yet only a 10 minute walk into the centre of Roquefort les Pins. You’ll find everything you need in the town, including several bakeries and restaurants, an excellent supermarket, weekly market, pharmacy and cinema. 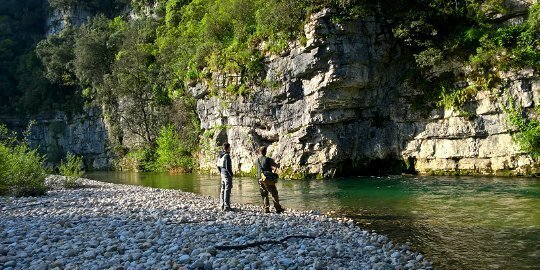 We’re 6km from Valbonne and 9km from Villeneuve-Loubet. 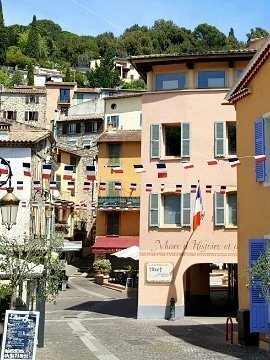 All the ingredients for a fabulous holiday on the Côte d’Azur are within easy reach, with most attractions, whether on the coast or inland, no further than 30 minutes’ drive. We’re only 25 mins from Nice International Airport. Easyjet, BA, Air France, KLM, Aer Lingus, Norwegian, RyanAir, Jet2.com and many more airlines all have regular flights from the UK and cities within France. There are also direct flights from New York and Dubai (for connecting flights to Asia and Australia) and most major cities in Europe. 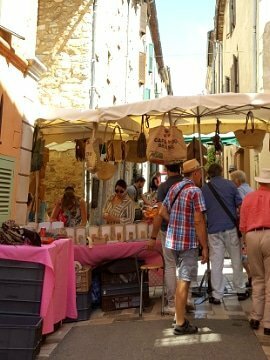 Our nearest station served by the TGV (high speed train) is Antibes, which is 30 minutes’ drive away. Car hire is available at the station. We’re about 10 minutes from exit 47 of the A8 motorway. 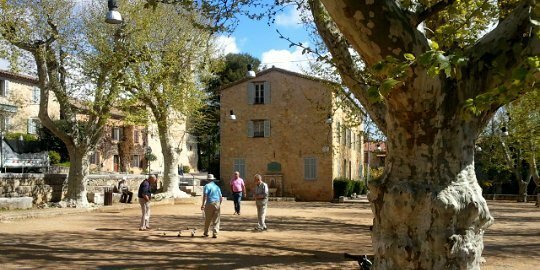 Roquefort les Pins is served by the Nice-Grasse bus, which goes via the airport and the bus stop is 200m from Lou Messugo. But to get the most out of this fantastic area we strongly recommend you bring or hire a car.